Tomatoes are on! They are on my stove to be exact! 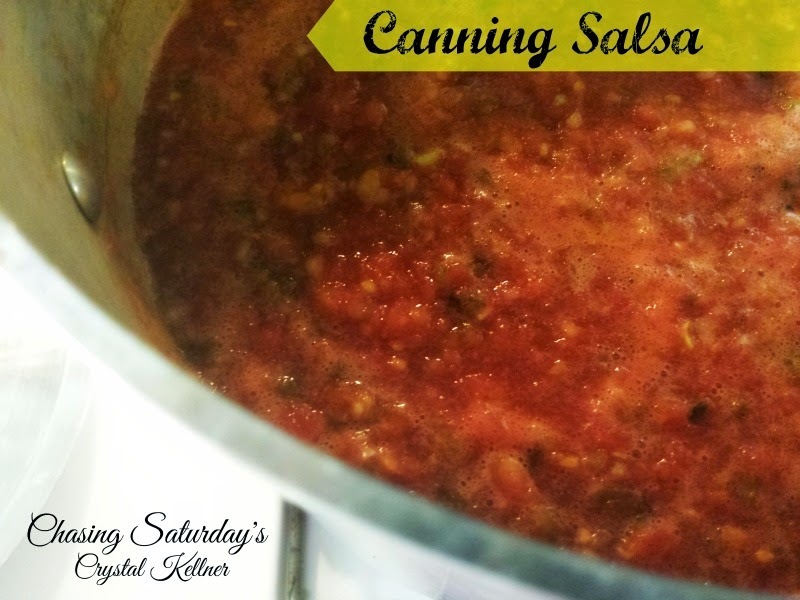 We canned this weekend, stewed and salsa. Next weekend we plan to can tomato juice. There is no exact recipe when we are making the salsa. We add peppers and jalapeno peppers to taste and this was a hot batch! Can't wait to eat this salsa this winter!